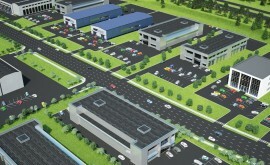 The Galway Business Centre is the crown jewel of the master planned community of Galway. Perched atop the city, the Galway Business Centre provides businesses with high visibility from the Trans Canada Highway and quick access to both the international airport and Port. The Galway Business Centre welcomes large multinational corporations as well as local businesses, operating across a wide range of industrial sectors, particularly companies servicing the oil & gas and mining industries. 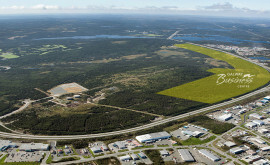 Zoned for heavy and light industrial purposes, The Centre offers high-quality lots ranging in size from 1 acre up to 20 acres for those looking to grow or start a business. Phase 1 will see 100 acres of prime office and industrial real estate ready for development, with an additional 125 acres being added by the end of Phase 2. With the potential for 5,000 new homes, over 1 million square feet of retail space and up to 225 acres of industrial space, Galway will be the future of St. John’s. Innovative, unique, and unlike anything this province has ever seen before. For sales inquires, please get in touch with us.